To read the above story online, click here. I have been in the Leader newspaper many times and used to write for them, but this is the first time that I have managed to get on the front page. I’ve been told that there’s a handsome chap on page 6 of today’s Leader. THE UK Government-run payment, which allows people with severe disabilities to pay for things like extra care, no longer exists. The Independent Living Fund (ILF), which was closed to new users in 2010, has now come to an end for existing users. The responsibility of providing this support to severely disabled people has now fallen to local authorities. Nathan Lee Davies, 38, of Stansty near Wrexham, wants to make sure Wales sets up a new system. Nathan has Friedreich’s ataxia, a rare genetic disease that causes nerve degeneration. It is a progressive illness which has left Nathan wheelchair-bound, affects his ability to perform basic tasks, such as doing up a button and has started to affect his speech. 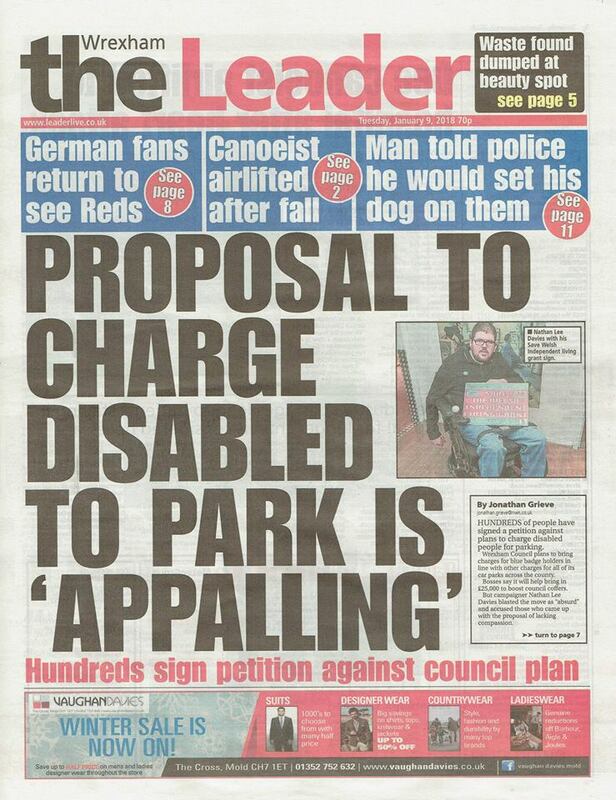 Nathan, a former features writer for the Leader newspaper, has been fighting to keep the ILF for some time but has now focused his00 attentions elsewhere. “I’ve thought for a while that we campaigners are basically flogging a dead horse with the ILF fund in England. The damage has already been done. “In Wales we have the Welsh Independent Living Grant that will run until 2017 when the Assembly will decide the next step. Nathan was first diagnosed with Friedreich’s ataxia when he was 16 after exhibiting symptoms from the age of 11. The former Yale College student began to find it difficult to walk, but attended university and became a journalist and author before his condition progressed to the point where employment was not an option. As the disease progresses, and as Nathan’s income is restricted, he fears he will also become a prisoner in his own home. He said: “I’ve still got my intelligence. I still have ambitions, but I can’t do some of the things other people take for granted. ILF was a means-tested sum only available to those who receive the high care component of Disability Living Allowance and have less than £23,250 in savings, according to Disability Rights UK. Claimants received up to £475 per week on top of social service funding which they typically spend on things like paying carers’ wages and purchasing life-enhancing technology. Nathan said he used his ILF to fund carer hours. He said: “My carers currently come in twice a day but even now I am alone between 2pm and 7pm and from 11pm to 8.30am. Nathan said that with the abolition of the ILF, about 18,000 others around the UK may be unable to fund the level of care that they need to maintain a good quality of life. The funding and responsibility of ILF care and support needs will transfer to local authorities in England and the devolved administrations in Scotland, Wales and Northern Ireland, according to the UK Government. 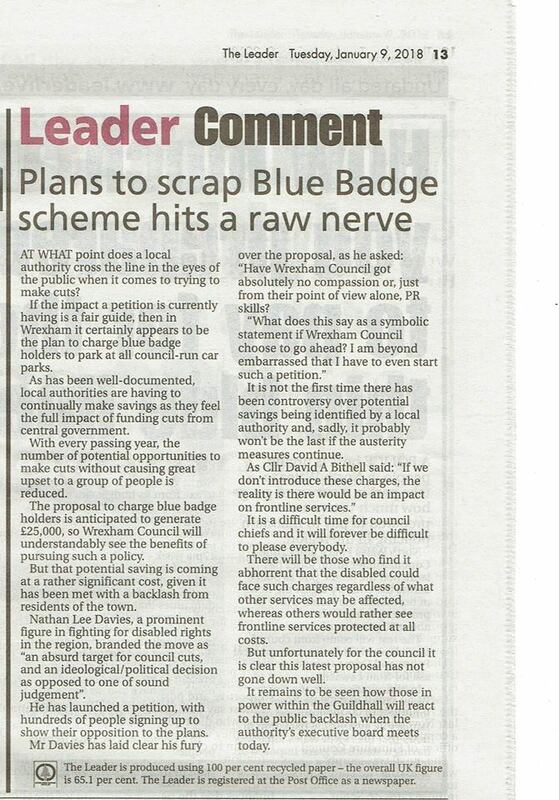 Nathan is concerned that, as Wrexham Council and many other councils are already facing cuts, this extra burden may be difficult for councils to meet. He said: “My social worker visited last week and worried me no end. She has already drawn up a proposed timetable for when Welsh Assembly funds have run out in two years’ time. “The proposal is for my hours of care to be cut from 86.5 hours per week to just 31 hours. She told me not to worry but said that any extra hours that I’d need would have to be funded by sources other than the local authority. 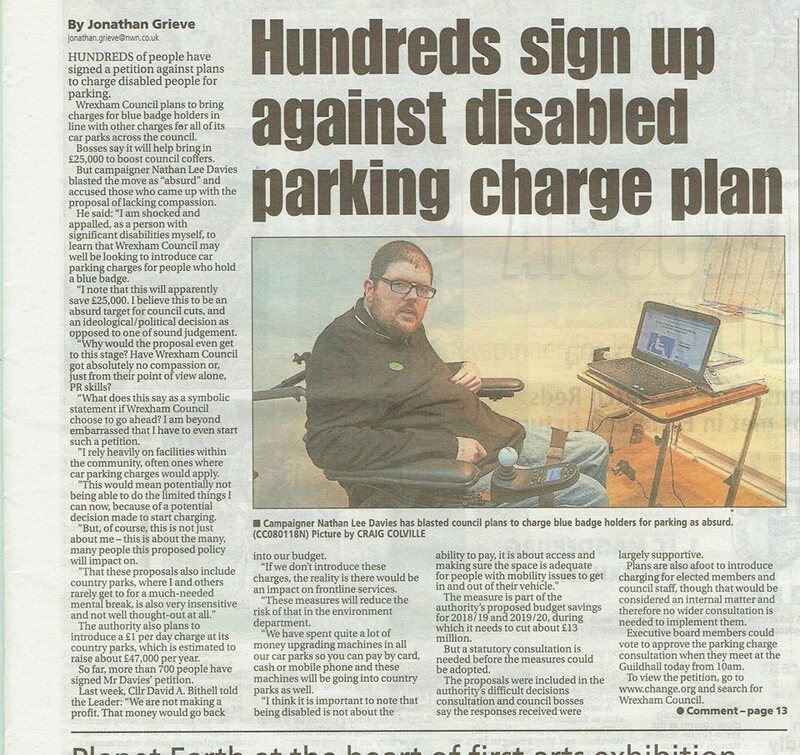 Despite his limited mobility and difficulty using electric devices, Nathan wants to set up a local pressure group and already lobbies online. A small group of wheelchair-bound protesters clashed with police inside Parliament last week, many of the people affected by the abolition of the fund will struggle to make their voices heard. Nathan himself wanted to take part in the anti-austerity march in London on June 20 but said he was unable to afford the transport costs. What he is calling for now is for the Welsh Government and local councils to ensure that money set aside for disabled people is ring-fenced beyond the two years. He said: “At the moment the money is ring-fenced and there is no immediate cause for panic but 2017 will soon be here. I want to begin a campaign to put pressure on the Welsh Government to join a Scottish administered ILF as Northern Ireland have.